The EquiSal Tapeworm Test works like a blood test but, instead, uses saliva that you collect yourself. The test is scientifically proven to diagnose tapeworm burdens with high accuracy – it tells you if your horse has a burden and whether you need to worm or not. 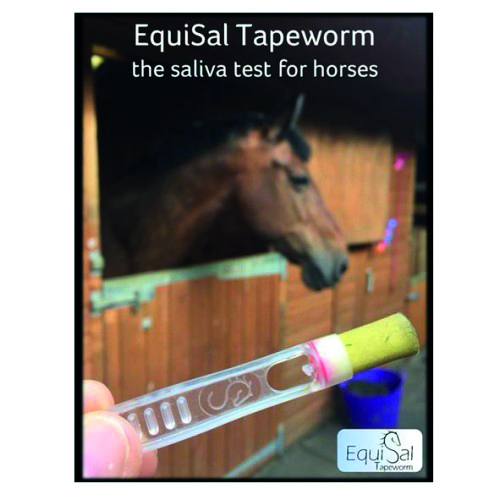 To test for tapeworm, all you need to do is collect saliva from your horse using a specially designed swab and return to the practice. Tapeworm testing now forms part of our Annual Worming Programme, reducing the need for wormers, the use of which contributes to wormer resistance.